I’m Raymond Larabie, the creator of the Canada1500 typeface. 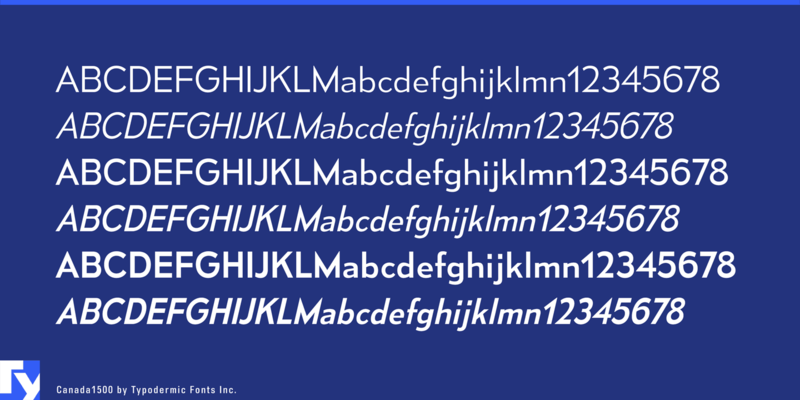 In November 2014, I created a free, eighty style typeface called Mesmerize. In 2015, Grant Johnson, the senior adviser for the Canada 150 Federal Secretariat contacted me about adapting some styles of Mesmerize to accompany the logo for Canada’s sesquicentennial on July 1st 2017. 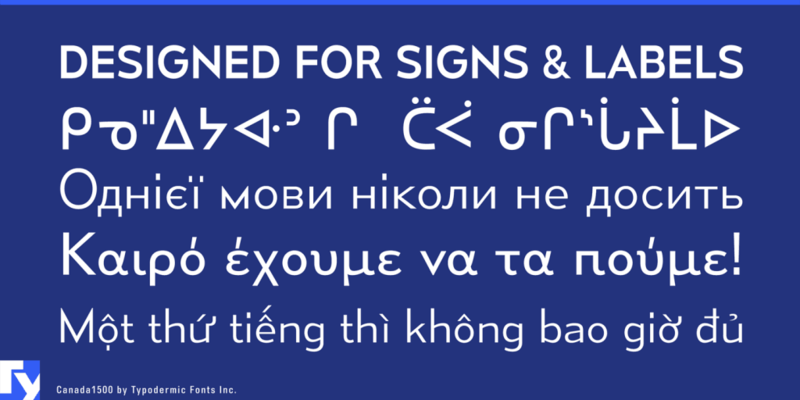 I offered to create a customized font family based on Mesmerize at no charge and expanded language coverage to include all of Canada’s indigenous languages. I intended to release the font to the public for free after Canada’s 150th birthday celebrations. 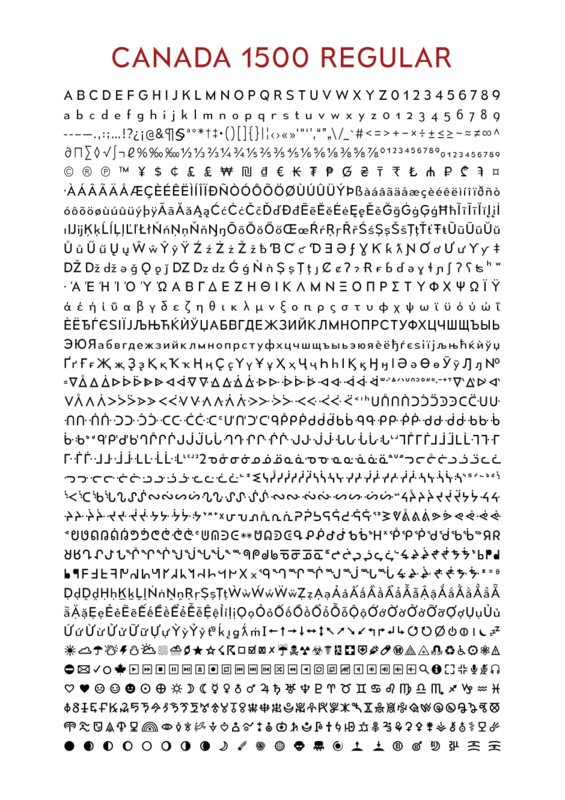 Up until July 2017, the Canada 150 typeface was only available from the Canada 150 Federal Secretariat website through an application process. In 2016, I was contacted by Constance Adams about adapting the Canada 150 typeface for a manned Mars mission. I named it Canada1500 and made alterations for use on spacecraft and Mars base signs and labels. I also expanded language coverage to include Vietnamese, Greek, more Cyrillic languages and most Latin based languages in current use. Please read the documentation inside the zip. Source files have been included. To the extent possible under law, Raymond Larabie has waived all copyright and related or neighboring rights to Canada1500. This work is published from: Japan. 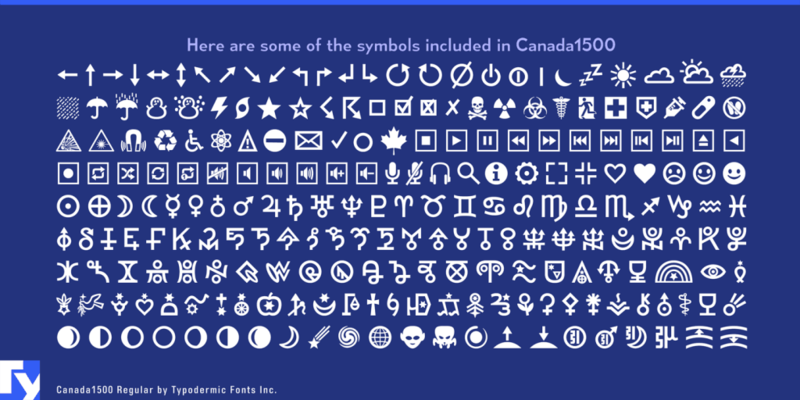 Canadian Art: Can One Font Represent All of Canada? Who was space architect Constance Adams?